Hi Which web browser is this ? and Is the popup tab a full screen one? or is it just a small one that shows on the lower right bottom of the screen? Pup keeps showing up within hours after clearing. I quarantene about 27 files with malwarebytes. Then run AdwCleaner which always finds 1 pup. I clear and restart. But it comes right back in a short while. What else do I need to do. Here is the log from AdwCleaner. # ------------------------------- # Malwarebytes AdwCleaner 7.3.0.0 # ------------------------------- # Build: 04-04-2019 # Database: 2019-04-18.2 (Cloud) # Support: https://www.malwarebytes.com/support # # ------------------------------- # Mode: Scan # ------------------------------- # Start: 04-20-2019 # Duration: 00:00:16 # OS: Windows 10 Pro # Scanned: 27356 # Detected: 1 ***** [ Services ] ***** No malicious services found. ***** [ Folders ] ***** No malicious folders found. ***** [ Files ] ***** No malicious files found. ***** [ DLL ] ***** No malicious DLLs found. ***** [ WMI ] ***** No malicious WMI found. ***** [ Shortcuts ] ***** No malicious shortcuts found. ***** [ Tasks ] ***** No malicious tasks found. ***** [ Registry ] ***** No malicious registry entries found. ***** [ Chromium (and derivatives) ] ***** PUP.Optional.Legacy dhhjmlmdpcpiojiffodbldlkgcnaeogp ***** [ Chromium URLs ] ***** No malicious Chromium URLs found. ***** [ Firefox (and derivatives) ] ***** No malicious Firefox entries found. ***** [ Firefox URLs ] ***** No malicious Firefox URLs found. Hi, Stick with the support ticket. Be sure to do what the automated response suggested, which may likely be to run the Support tool at some point. If you have not attached a Copy of the CD showing the License Keys, I would do so, and be sure to mention where the purchase was made. The lifetime license is only for one Windows pc. I found my original box, CD and license activation ID & Key from 2011. When I tried to activate the software using it I get a message that my key has been blacklisted. This issue only happened with the most recent 3.7.1 build 10240 update. That update blacklisted my valid lifetime license. I can't remember if I had registered this key or what email I used 8 years ago when I purchased the software so I created a new account on My.Malwarebytes.com and tried to register the key and I got an error message redirecting me to a support page that doesn't exist. 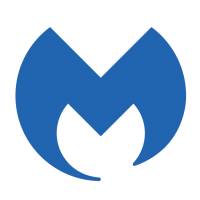 I created another Malwarebytes Support Ticket (# 2590927) since I haven't received anything other than automated responses from Malwarebytes support. I included a photo of the original box, CD and license card with the support ticket to prove that I bought and have owned the software since 2011. Could someone please fix this issue ASAP? I love this software and I don't feel safe using the internet without it backing up my paid antivirus software. Hello and Welcome. Your issue is most likely cause by the Winmgmt service not running on your computer. That service needs to be running. So to Services and ensure that Windows Management Instrumentation service is set to Automatic and then try and start the service. If it stays running reboot the computer and see if all is well. Also you logs show that this computer is most likely infected, it would probably be best to seek help from one of the experts to get one on one help on getting it cleaned up as well as fix the WMI service. To do so simply follow the instructions in the topic below. Basically start a new topic in the malware removal area and include the same logs you posted above. Block has been reviewed and will be removed. I cant Find the Programm you meaned, sorry. And can you send me a download link from "Fixlist.txt"
You know what... Maybe one of the first utilities I write will be one that detects RTLO-based obfuscation. I guess RTLO does seem more useful for juvenile pranks than anything else. I didn't know that it was a spyware. Thanks for the info. If you confrim me that my pc is clean, that would be all. Thank you for all your help. I have malwarebytes but am continuing to get random websites popping up on new tabs. The last one was "healthierpatriot.com"
Hello- Thanks for reporting this, we've rechecked the site and have removed it from the database as the offending data has been cleaned. This will be reflected in the next database due to go out in the next hour or so. After you update MBAM try the site again. The block should no longer be shown. Its a fraud. There is a high propensity of malicious and nefarious sites hosted on the TLD .BID Web site is hosted by Private Customer, Cameroon Mail Server is hosted by Yandex enterprise network, Russian Federation EDIT: I went to the site and chose "About Us" - No information. I went to "Contact Us". No information on whom they are or where they are located and the Contact is only a Web Form. No email address, no phone number - nothing. Red Flags of fraud. One must vet a web site for legitimacy before spending money with a web site. Hi @Cartaphilus, the business version of the product does not have an interface or a report tab, are you using the consumer version?